When life gets crazy, I often find that the best solution to slow it down is to sit down at my Janome and sew. I'm not talking 'mandatory sewing to narrowly meet a looming deadline' sewing either. I'm talking about the type of sewing that is defined by not being defined at all. No plans, no limits, no rules - that is the type of sewing that stops time and stress and just gets me energized again. A couple weeks ago I cleared my sewing space, removed all my WiPs from sight, and just sat down to sew. No real goal in mind, no real plan, just a charm pack of Simply Style and some Kona yardage. 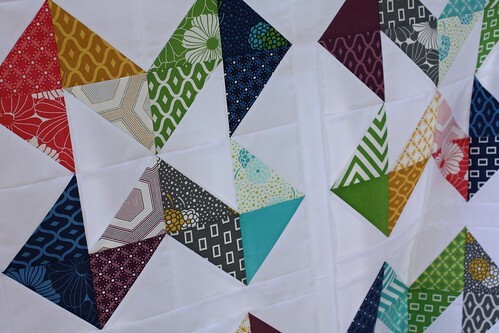 I started by making half square triangles and ended when I had a quilt layout on my design wall that seemed fitting. 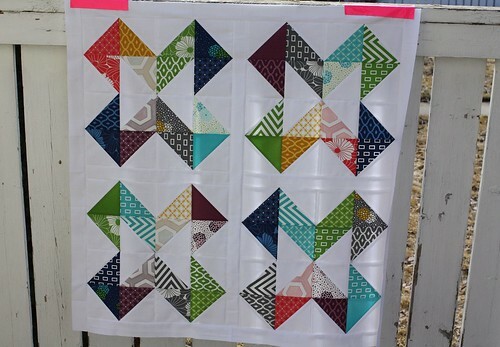 Toss in some sashing and a border, and before I knew it, I had a baby quilt! 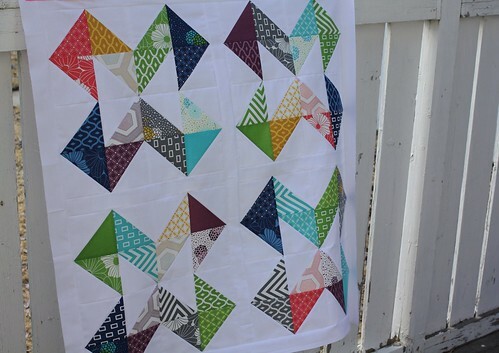 Amanda pointed out that the negetive space in this quilt resembles a north arrow from a map. It felt a bit ironic but still fitting to call this quilt 'Directions' as this quilt started with no direction, but then ended with one. You win some, you lose some, and sometimes you just learn something. I definitely learned something in this quilt. 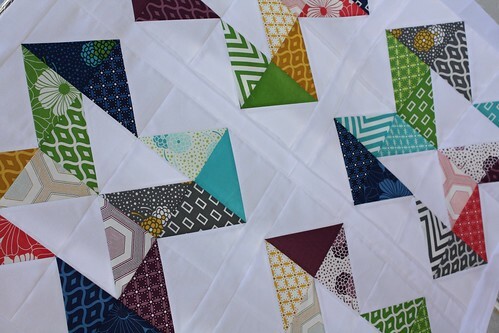 I'm definitely seeing more of this laissez faire quilting style in my future. Great name choice - it fits really well. How lovely to just do it with such freedom. Super job! beautiful colors; beautiful pattern! Glad you were able to relax and do some freedom sewing! really beautiful little top. I love sewing just because and not because I have to. It is the best way to relax! Super cute Kelsey! I really need to do more sewing just for the sake of sewing!